Back in September 2016 we blogged about how DVLA is developing a new web service for our stakeholder customers to register new vehicles. Since then we have continued to develop the service based on customer feedback. 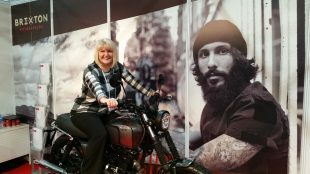 Last month Alison Wolley (Corporate Services Relationship Manager) and I were invited to exhibit at the Motorcycle Trade Expo event in Coventry by the Motorcycle Industry Association. This is an ideal opportunity to spend time with our customers and chat with them face to face. We set up camp in the ‘Knowledge Shop’ section of the show – a perfect place to showcase the new service. And that’s just what we did during the 3 day event. We demonstrated and answered lots of queries about all aspects of vehicle registration and licensing. 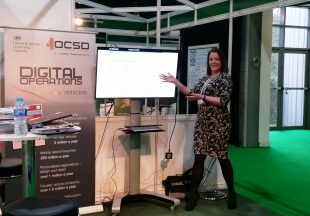 Knowing that there were customers still using our paper process, we were also able to showcase all of the digital services DVLA offers to help dealers registering motorcycles. Many thanks to all that took the time to visit us and we look forward to seeing you again soon at another event.